This is a condition that we see on a daily basis. However, very few patients understand the difference between these two conditions. The pain from a tendon problem can come on gradually, building up over time, or it can feel sudden and severe. Tendinitis is an acutely inflamed swollen tendon that doesn’t have microscopic tendon damage. The underlying culprit in tendinitis is inflammation. Tendinosis, on the other hand, is a chronically damaged tendon with disorganized fibers and a hard, thickened, scarred and rubbery appearance. The underlying cause in tendinosis is degeneration. It is important to make the distinction between the two because the ultimate treatment can be very different. That distinction is made by a very simple musculoskeletal ultrasound examination that can be performed in the doctor’s office. The ultrasound can easily detect the swelling and inflammation of tendinitis or the chronic degenerative changes of tendinosis. The patellar tendon that connects the knee cap to the shin bone. The Achilles tendon in the back of the heel. Treating tendinitis or tendinosis involves treating their respective underlying problems, namely inflammation or degeneration. Give about four to six weeks for these home remedies to help. But if the pain persists, call your doctor, because an ultrasound of the tendon may be needed. If the ultrasound shows tendinitis, a corticosteroid injection may be the right treatment to decrease the inflammation and relieve the condition. This, coupled with a physical therapy program, may be all you need to get back to your normal life. 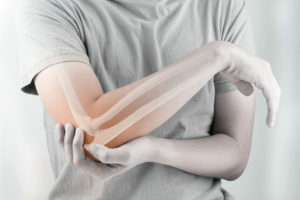 If you have tendinosis, the pain persists past three months and nothing else has helped, we may recommend a new, minimally invasive office-based FDA-approved procedure called ultrasonic percutaneous tenotomy. The procedure uses a thin metal probe that vibrates at 20,000 rpm to gently dissolve and remove the damaged tendon tissue. It leaves the soft, pliable normal tendon unaffected. We inject a local anesthetic to numb the skin and damaged tendon. We makes a small puncture through the skin — about the size of the pointer arrow on your computer screen. Just one or two minutes of the 20-minute procedure involves the vibrating probe. With the local anesthetic, you should feel only a slight pressure during the procedure. After the procedure, a bandage is applied — no stitches are necessary. The procedure relieves pain at the source, it is covered by most insurances and if it is successful, you can return to normal activities in five to six weeks.